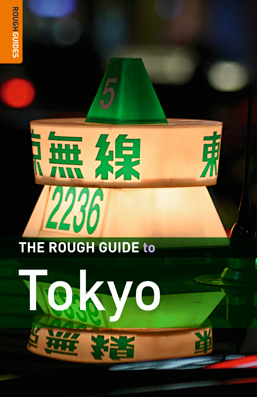 Rough Guides to Tokyo – Giveaway! Rough Guides publish 300 travel titles, maps and phrasebooks and over 60 reference books on topics ranging form Climate Change to Classical Music. And Yes, Tokyo is no exception to their wide range of topics! We are lucky to have in hand 5 Rough Guides to give away!! We aren’t just giving them out for free. To make this interesting, we are conducting a mini contest, much like the one we organized a few months ago for the Time Out Guide to Tokyo Giveaway. The rules have been changed a bit though, and will require more paint or ink than last time! update: got no submissions on this giveaway, so let’s move on to another idea, what about distributing Tokyo Art Maps in your neighborhood in exchange? – Create a drawing, painting, illustration inspired by an exhibition you have seen within the last 2 months. – Please send us a photo or scan of your artwork and a URL of the event it references to ( contact[at]tokyoartbeat.com ). – Winners will be selected by our team and judged on execution and the insight that the entry provides on the exhibition. – Winners will be contacted via email. – You do NOT have to be currently living or visiting Tokyo to enter this contest. We will exhibit all the submissions on TABlog alongside the winners. So get your creative hats on!! If you’re not feeling so creative, make your way to www.roughguides.com to order a copy of the Rough Guides to Tokyo or any other fabulous guides via the internet.